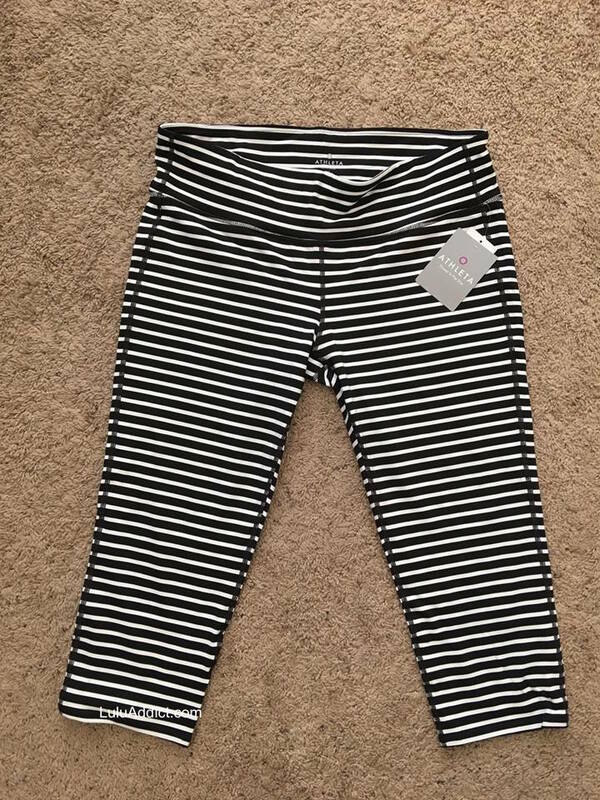 I know a number of ladies in the lulu groups have already picked these up but I just bought a pair yesterday and am a big fan. These are Athleta's Stripes Chaturanga Capri. 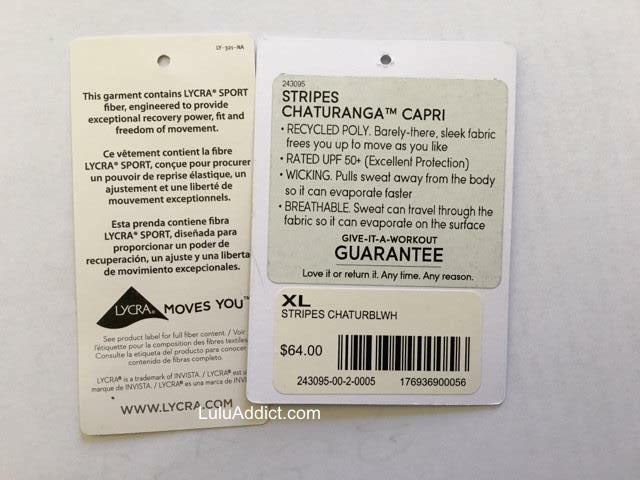 I haven't liked the fit and feel of Chaturangas much in the past since the fabric is often a polyester blend but these are a nylon blend and feel like identical to wearing a pair of Wunder Unders. I wore them for a workout today and really, really liked them. 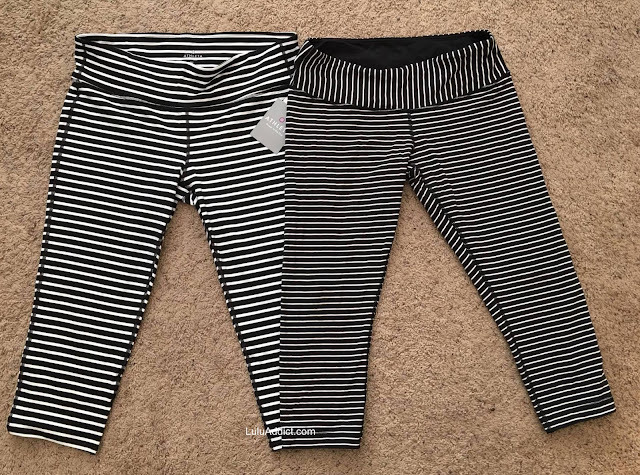 The stripes pattern is a little different from lululemon's Parallel Stripe print but if you're looking for a spare pair to save wear and tear on your valuable PS WUCs these are a nice substitute. 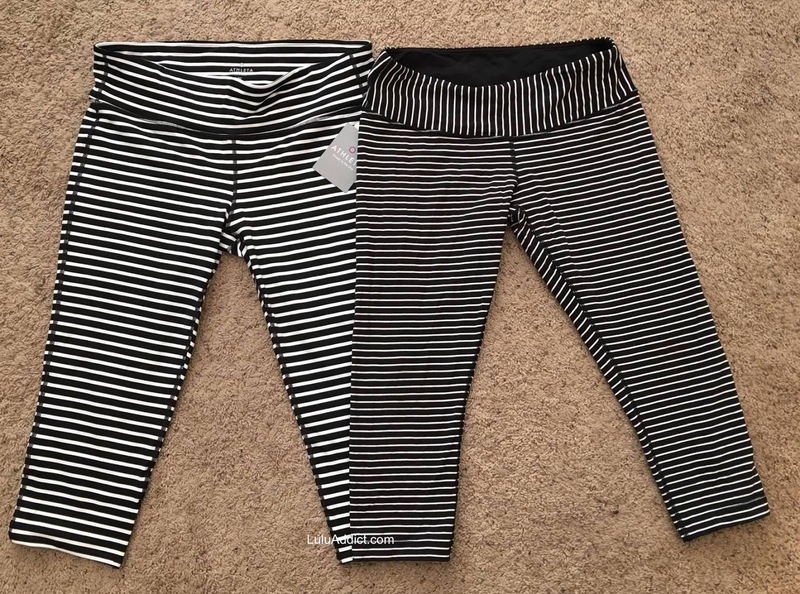 Lululemon has made a very similar (identical?) 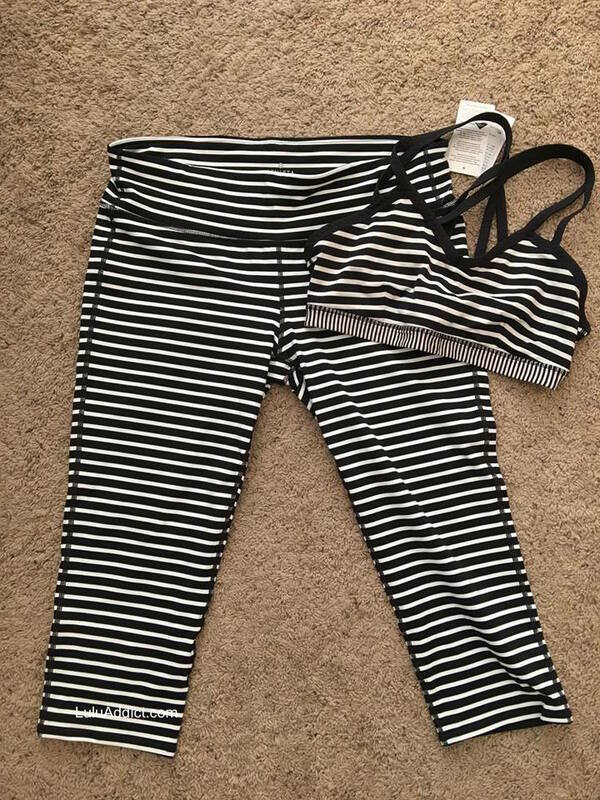 stripe before - this a SeaWheeze-edition Bound Bra next to the Chaturangas. I also bought this Essence tank while I was at the store. 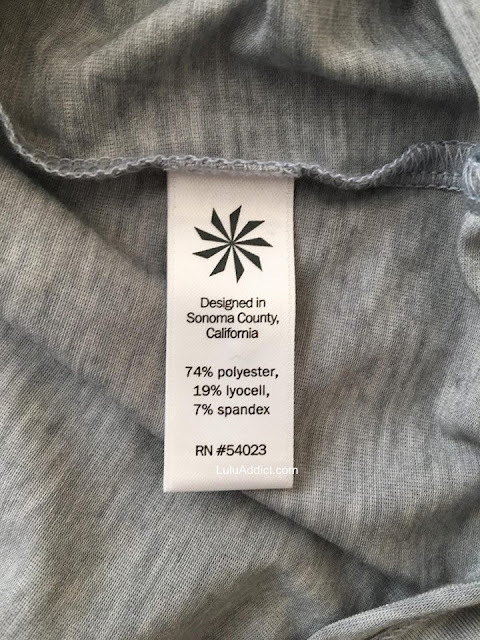 I know it's a polyester blend but it's super soft, looks very cute from the back, and, most importantly, has "unstinkable" technology. 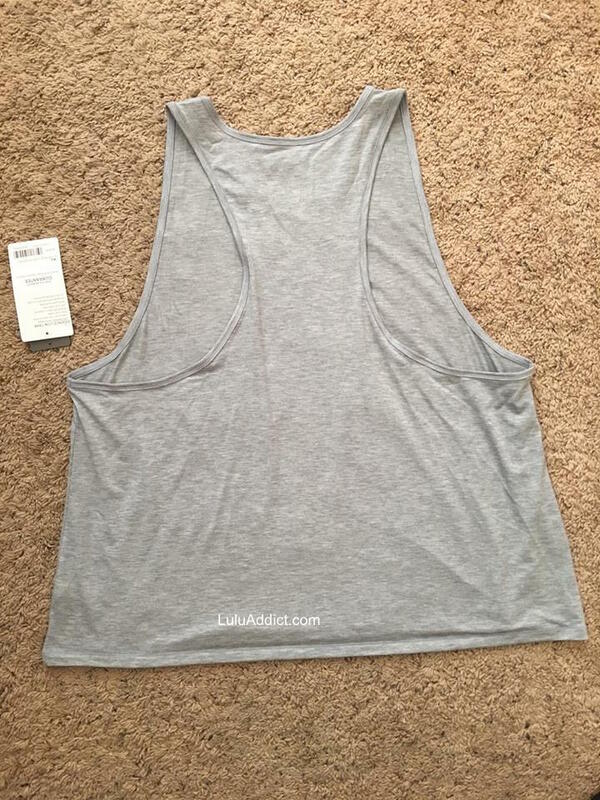 I like my lululemon cotton tanks a lot but I didn't like the one time I wore my pima Trapeze Twist for a vigorous workout and it really took up and retained odor. The price is also a very attractive $39. All I can say is hahahahaha hohohohoho WE TOLD YOU SO. 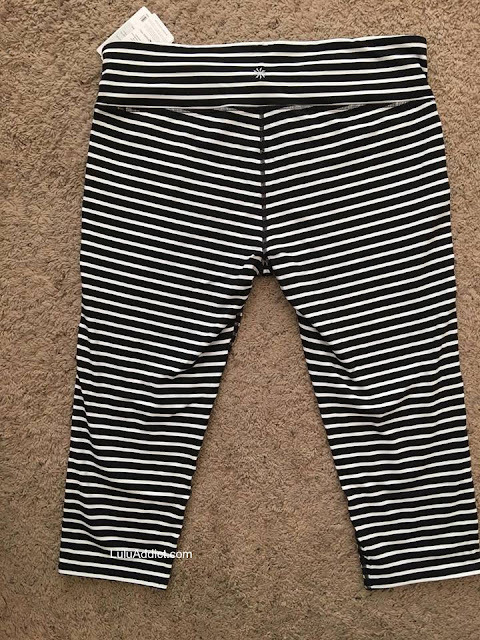 We, your most loyal customers, have been complaining about a lack of color for MONTHS and it finally came home to bite you. 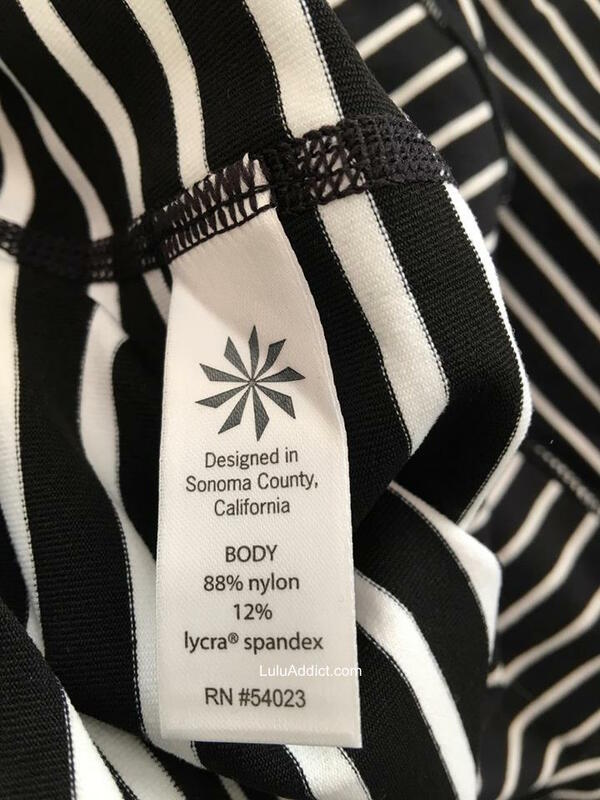 And shame on you for blaming the website redesign and visual displays for your poor sales, it's all about the crappy product assortment - no color, terrible/cheap designs, eliminating/modifying ("innovating") core favorites, hefty price increases, declining functionality, declining quality, and an overall lack of VALUE. Holman is a cancer and needs to go. 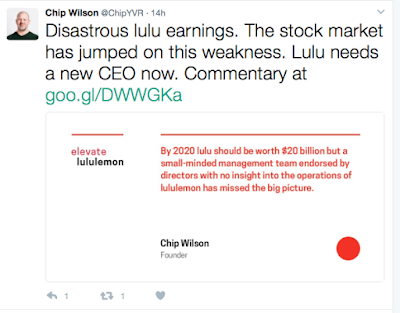 He jettisoned everything that made lululemon special and now the company is reaping the results. 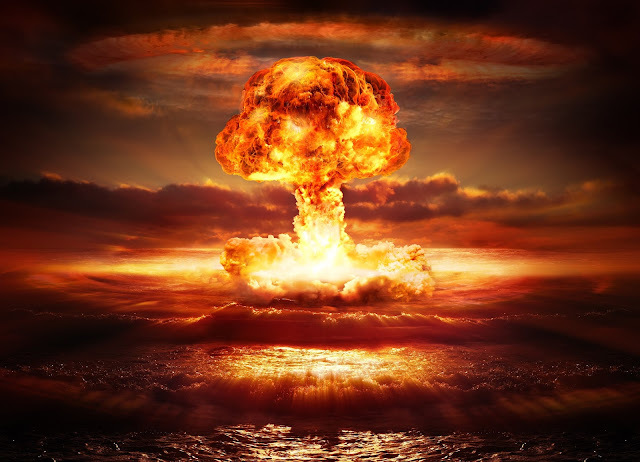 Get some of the old timers back, grab the Ivivva folks who still retain the essence of the brand and turn this around before it's too late. 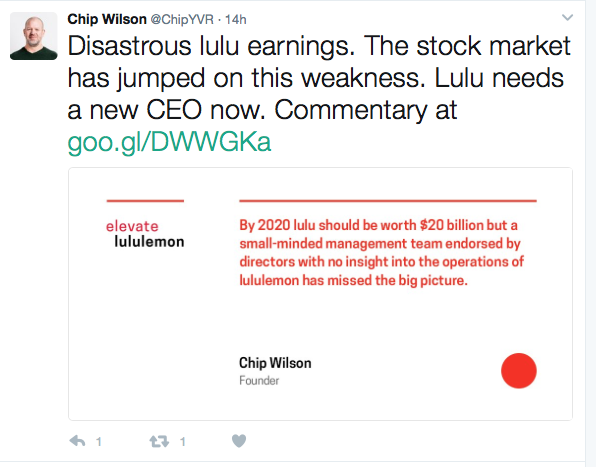 Wilson pulls no punches in this tweet. His comments here. 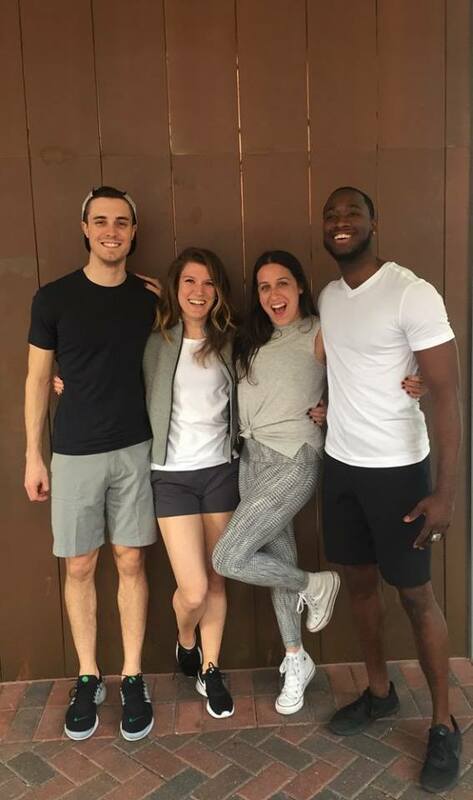 Kindred and Thrive print Fast and Free Crops. 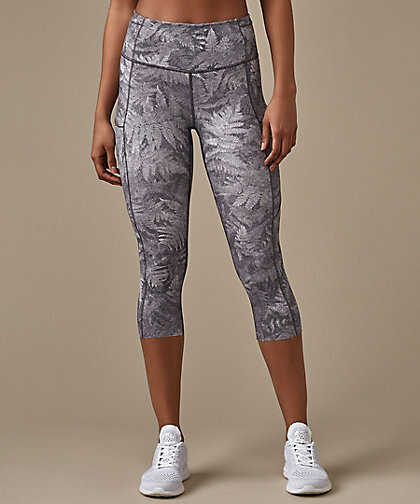 This print looks too close to my Capri Iced Wave bottoms so I'll pass. 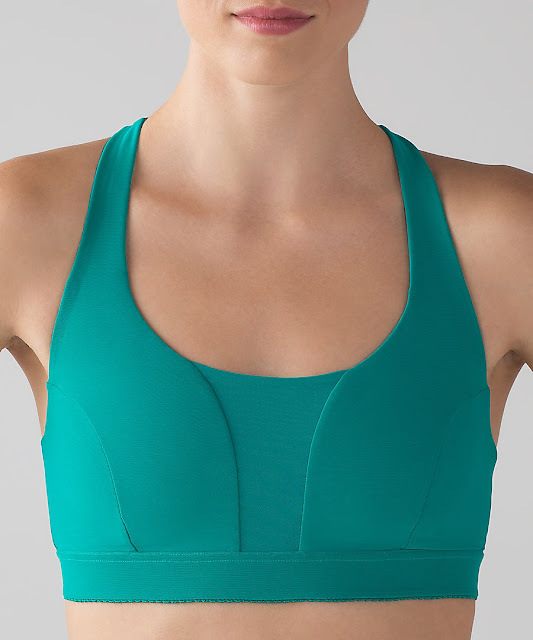 Thrive Viridian Energy Bra, luxtreme Wunder Unders, and CRB II. Fast and Free Tight in Thrive Viridian print. Ruby Red Free to Be Serene Bra. 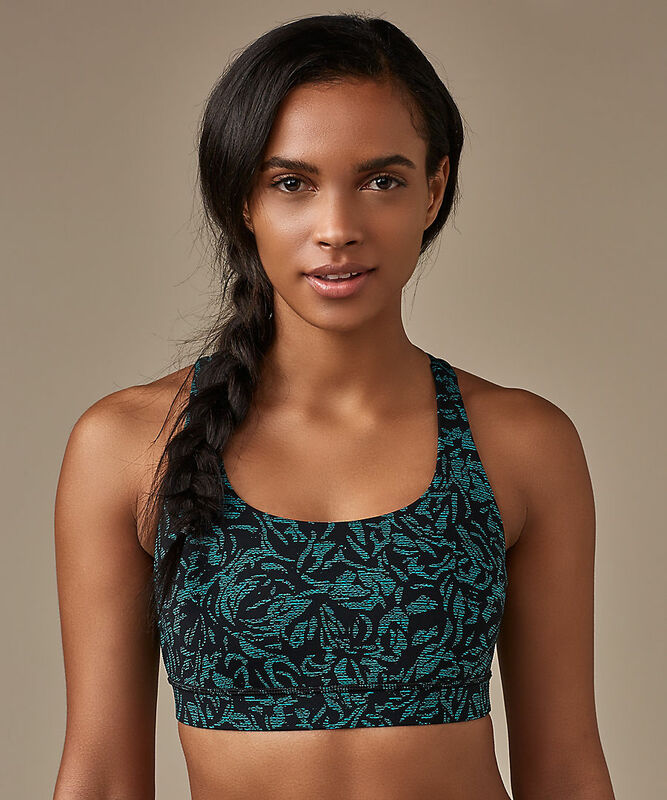 I read a try on review that said this bra had pretty low support for a D cup so I'll wait to try it at a store. 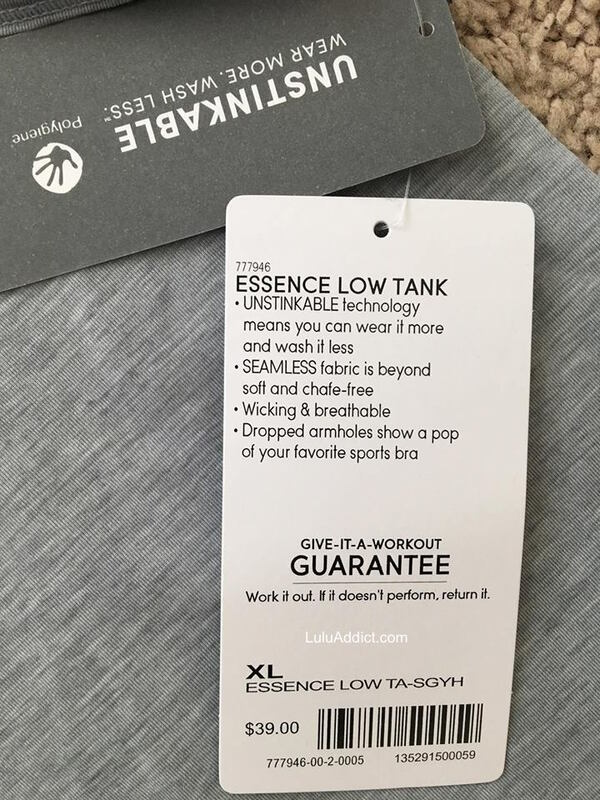 I was hoping it would be more supportive than the Free to Be Tranquil bra but it doesn't sound like it will be. 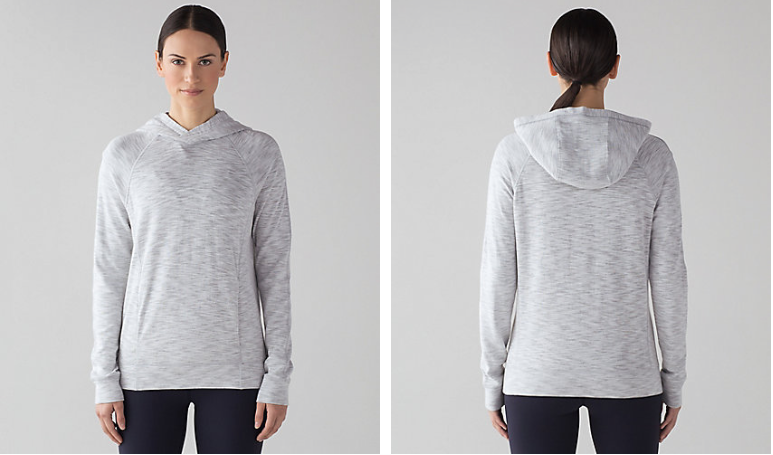 More than Modal Hoodie and Crewneck. I'll wait to try this in the store. 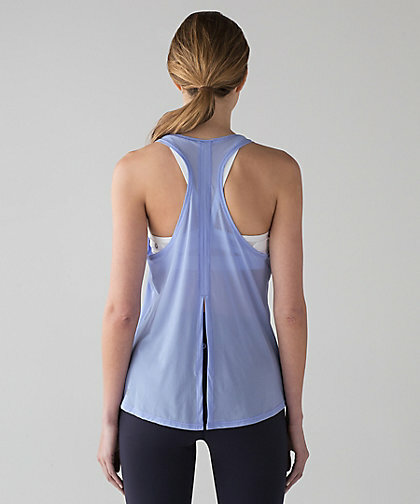 I've become a huge fan of Athleta's modal pieces which are not as casual and cuter than these. 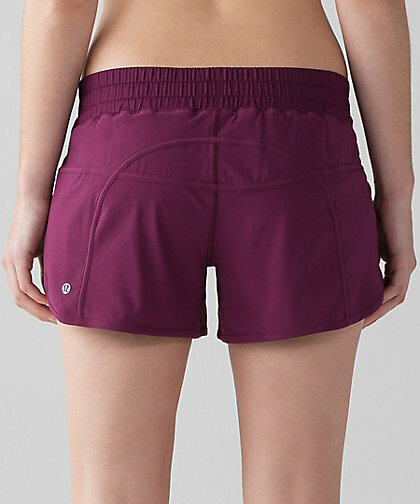 New Tracker and Speed shorts in pretty Marvel. 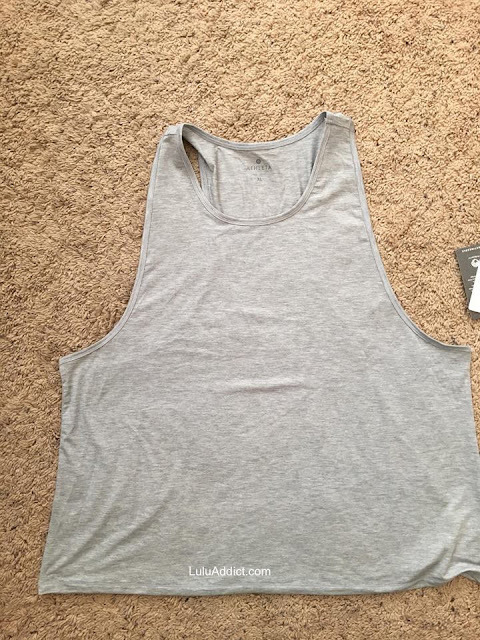 New Two With One Singlet in a mystery (apparently see-through) material. Revitalize Romper. WTF on the styling here. 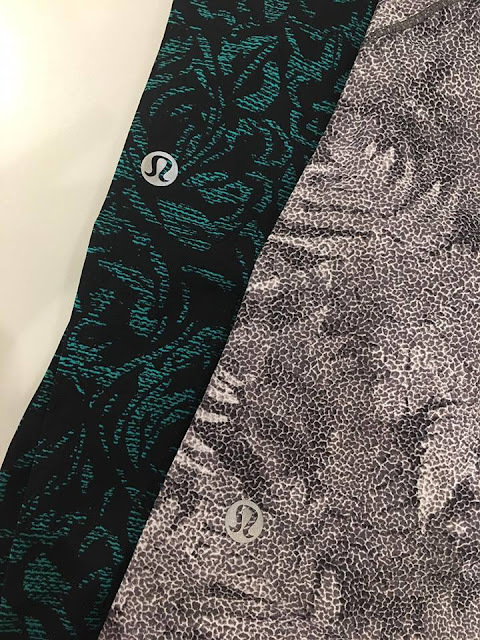 New color bottom previewed here. 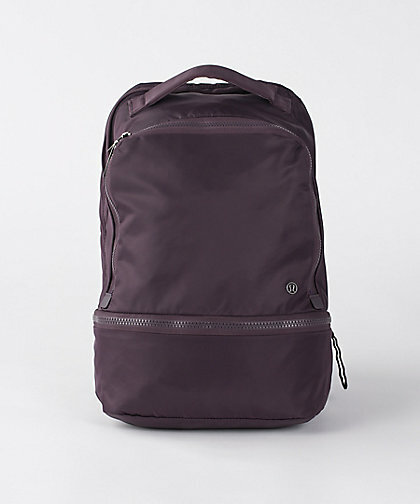 Black Currant City Adventure Backpack (Canada). 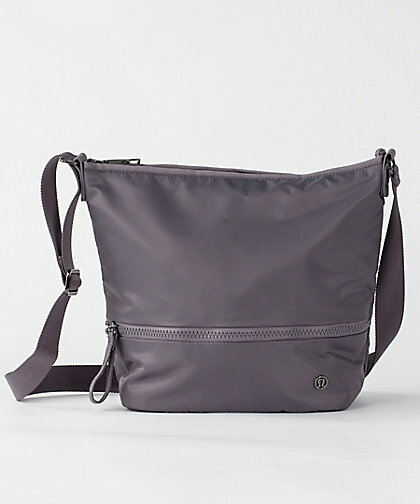 I love this color and hope the Go Lightly Shoulder bag comes in it. Nothing for me today, did you get anything? The latest nulux prints that are hitting the stores this week.